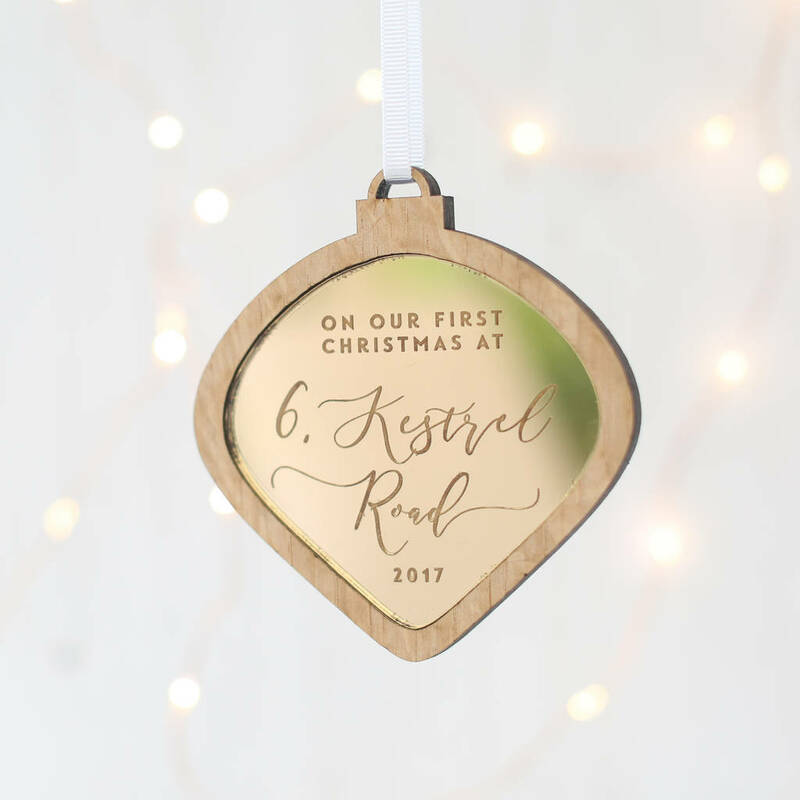 A gorgeous, hand crafted first christmas in a new home personalised bauble, the perfect housewarming or christmas gift. Celebrate your first married christmas with this simple but beautiful wooden keepsake that can be used as a christmas tree decoration and treasured for years to come. Decoration reads 'First Christmas as Mr & Mrs .......' followed by the year.